One of the many joys of traveling is re-introducing yourself to dishes you thought you knew, cooked by the people who originally made them. I am not debating good or bad, better or worse here; I’m thinking about how our own palates alter the interpretation of the dishes and the myriad of reasons this happens. Pici cacio e pepe (cheese and pepper) is the simplest of dishes and thus, difficult to make perfectly. Classically a dish from Rome, where the cheese used is pecorino romano, the Tuscan version can use parmagiano regiano, as the city of Parma is not too far away, or pecorino toscano. The pasta type, pici, which a chubby cousin of spaghetti, hails from Siena, and is the perfect size and thickness to hold and balance the minimalist sauce. This must be cooked and served at once for the true deliciousness to be savored. 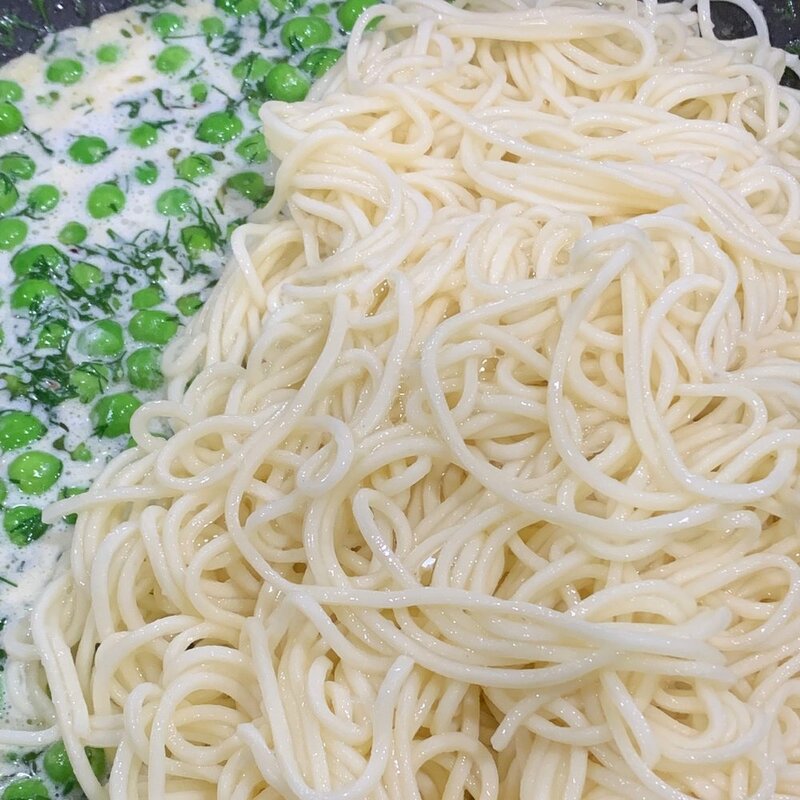 If you are using fresh pici, and I’m trying to find the right die to make it, the first bite of pasta may seem a little undercooked, but the rest will be perfect as it continues to cook and absorb the sauce. Fresh pasta makes a big difference here, as its stickiness and starchiness helps create the creaminess of the sauce, as well as absorbing the flavors. 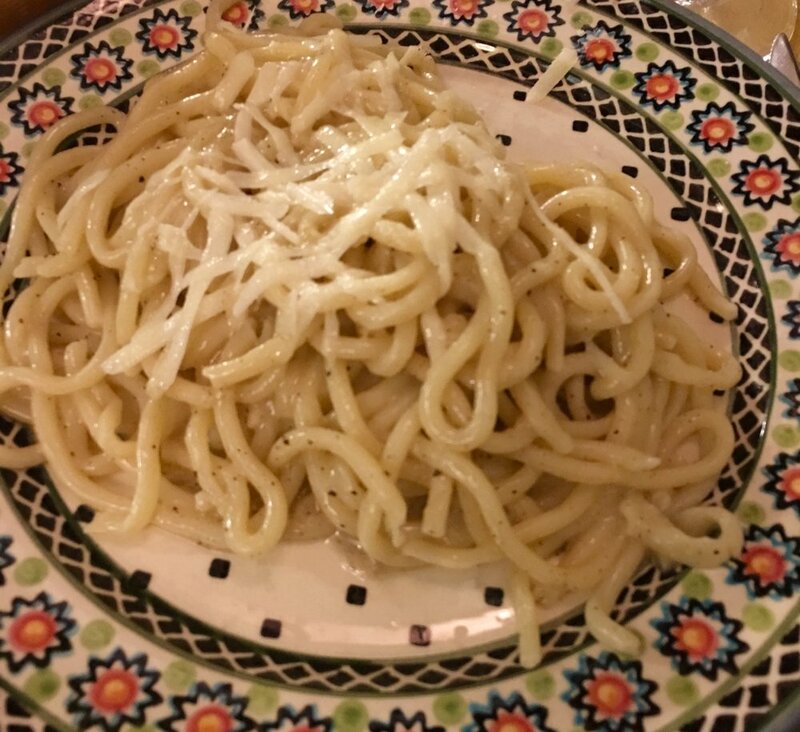 The pici cacio e pepe I had recently in Florence was masterfully done. I had a version in Houston the week before, which was also delicious, but my new experience begs me to reconsider our version-perhaps the added mound of cheese and and extra cracked pepper is gilding the lily. By comparison, the Italian version would seem totally naked, unadorned. But, this is how we in America view our pasta: under a sea of sauce and a mound of cheese. It’s what we expect when we order pasta, and this is perfectly fine. This may be derived from the Italian American experience as immigrants brought the food of their origins into a new world, adapting to what was available, the amount of time they had to cook, and changing it in the process. Many other factors also played roles, including big changes in how and why Americans eat. We eat with our eyes first, so there has to be an adjustment in our view, a change in the expectation of what deliciousness looks like. Minimalist, modern, sophisticated food is delicious, and served on a beautiful plate the visual affect is stunning. Until I figure out how to make pici, or talk the pasta man into making it for me, I’ll get really good fresh spaghetti from the farmers market, and remember to cook it very al dente as I mix the sauce. I’m going to try to incorporate this lesson into my cooking and eating. 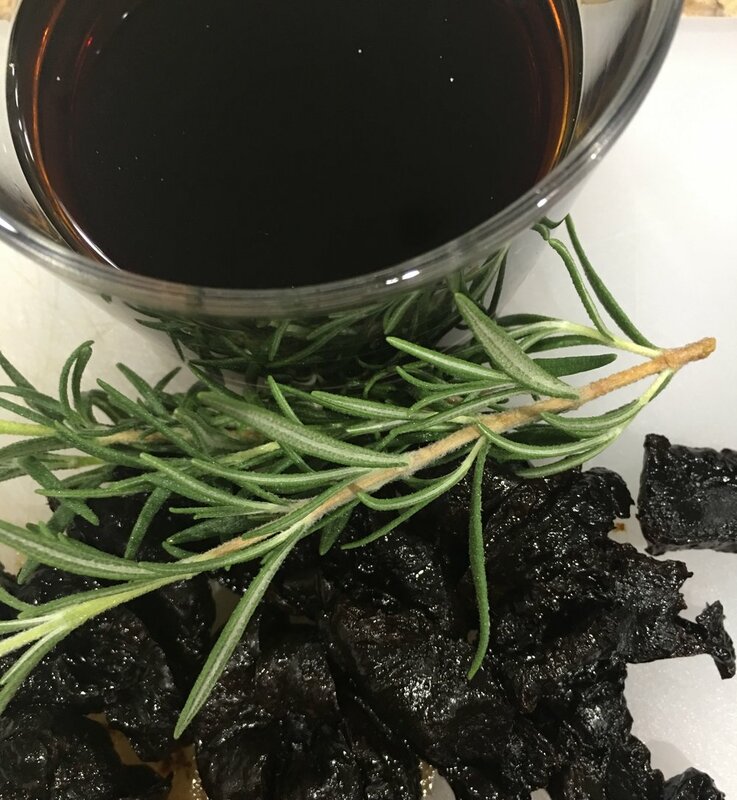 Using great ingredients remains the key to all great food. To balance them in simple perfection, to create a harmonious dish is not easy, but well worth the practice. I will try to visualize food differently as well, looking not for embellishment, but simplicity, balance and sophistication. Less is more in many things, and this dish is a perfect example. The recipe below is more of a process and you should change the amounts and combinations of cheese and pepper to your taste. It’s so quick to make, you can love several versions and make what you like. The key is the pan sauce, using just the right amount of water; so add it in small quantities for the perfect creaminess. Most recipes for this add butter and oil, which are fine, but this is the simplest of versions. Have a high sided pan to build the sauce and pasta. Get all the ingredients ready and have them at hand, as this goes quickly! Bring water to boil in a pot and add salt. Add pasta to the pot and cook per instructions to al dente. Warm the pan over low heat. Drain pasta, reserving 1 C pasta water. Put pasta into the pan and immediately add the cheese mixing quickly and adding small amounts of the reserved pasta water to create a creamy dressing. Add desired amount of pepper so that it has a sharpness and spice, but is not too hot, and mix again.